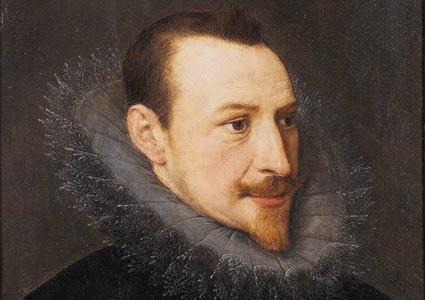 Spenser, Edmund (c.1552-1599), English poet, who bridged the medieval and Elizabethan periods, and who is most famous for his long allegorical romance, The Faeire Queene. Spenser was in London, where he attended the Merchant Taylors' School. He then went on to Pembroke College, University of Cambridge, where he took a degree in 1576. In 1579, he entered the service of the English courtier Robert Dudley, Earl of Leicester, and met the English poet Sir Phillip Sidney, to whom he dedicated his first major poem, The Shepheardes Calendar (1579). This work demonstrates the great poetic flexibility of the English language. It is a series of 12 pastoral poems, or eclogues, written in a variety of metres (see Versification) and employing a vocabulary of obsolete words and coined expressions to give a suggestion of antiquity. Words such as "woxe" (grew), "unnethes" (scarcely), and "played" (lamented) were already archaic by the time that Spenser was writing. However, through the use of these archaisms, and in the figure of the singing shepherd Collin Clout, the pastoral conventions of Virgil and other Classical authors are given an assumed English ancestry. The concern with national history and destiny demonstrated here is further evidenced in the "Fourth Eclogue", which is "purposely intended to the honor and prays of our most gracious sovereign, Queene Elizabeth," as Spenser writes in the brief note that prefaces it. While residing with the Earl of Leicester in London, Spenser began to write The Fairie Queene, and in 1580, he was appointed secretary to Arthur Grey, 14th Baron grey de Wilton, the new lord deputy of Ireland. Thereafter, Spenser lived mostly in Ireland, near Cork, where he completed his great allegory. In 1589, he was visited by the English poet, courtier, and explorer Sir Walter Raleigh, who recognized the merit of the poem and brought Spenser to England to publish it and to make the poet known to Elizabeth I. For The Faerie Queene, Spenser originated a nine-line verse stanza, now known as the Spenserian stanza-the first eight lines are limbic pentameter, and the ninth, limbic hexameter; the rhyme scheme is ababbcbcc. The melodious verse, combined with Spenser's sensuous imagery and deliberate use of archaic language evocative of the medieval past (as in the earlier Shepheardes Calendar), serve not only to relieve the high moral seriousness of his theme but to create a complex panorama of great splendor: the work blends religious and historical allegory with chivalric romance. In this fashion, it reproduces the thematic concerns of The Shepheardes Calendar, if in a far more ambitious form. Queen Elizabeth herself is made the centre of an elaborate allegorical scheme. As Spenser explained in an introductory letter to Raleigh that prefaced the poem,"In that faerie Queene I meane glory in my general intention, but in my particular I conceive the most excellent person of our soveraine the Queene, and her kingdome in Faery land." Yet the poem that results does not follow the design outlined in this letter, and was never in fact completed. It has been particularly prized for the vivid allegory of episodes such as the visit of the Knight of Temperance to the cave of Mammon in Book II, or the evocation of the tempting but dangerous Bowre of Blisse in Canto xii of the same Book. Spenser received an enthusiastic reception, and his poem was hailed on the publication of its first three books in 1590. Unable to secure further patronage, however, he remained in England for about a year and published a collection of short poems entitled Complaints (1591) before returning to Ireland. On his return, in the same year, he wrote Colin Clouts Come Home Againe. This work, published in 1595, was dedicated to Raleigh; in the pastoral mode, it recounts Spenser's experiences at the English court and concludes with praises of the simple country life. In 1594, Spenser married and celebrated the event in his "Epithalamion", a wedding song, considered the most beautiful example of this genre in English literature. It was printed in 1595 as the climax to a group of exceptionally vivid love sonnets, the Amoretti. Dramatizing the wedding day, this "song made in lieu of many ornaments,/ With which my love should duly have bene sect (adorned)", as the poem's concluding stanza puts it, depicts the bride's progress from her awakening in the morning, through the marriage and festivities, to the marriage bed at night. It is an unashamedly joyful celebration of love and its consummation. In 1596, Spenser took three more books of The Faerie Queene to London for publication. While in England he completed a prose work, Veue of the Present State of Ireland, which was not issued until 1633-long after his death. In this work, his advocacy of a vigorously active Protestant role for England attests to a deep hostility to the native Catholic Irish-the Veue argues for a reformation of Ireland that is tantamount to a complete destruction of irish culture, if not the Irish themselves. He also published at this time Fowre Hymnes (1596), poems in honor of love and beauty. for a double wedding of two daughters of the nobility in 1596, Spenser composed the "Prothalamion", one of his loveliest shorter lyrical poems. Again disappointed of royal patronage, he returned to Ireland. In October 1598, his castle was sacked and burned by Irish rebels, and Spenser fled to London, where he died on January 13, 1599. After his death his poetic style was imitated and perpetuated by a group of writers who shared his religious and political convictions-his influence on Milton can be partly attributed to such factors. Yet his lush and expansive imagination and vigorous approach to structure also made him a powerful influence on later generations, particularly Romantic poets such as John Keats and Percy Bysshe Shelley.